HandBrake 0.10.5 Portable ~ Apps2Portable | Free Portable Apps for PC ! 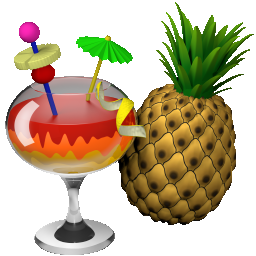 HandBrake is an open-source, GPL-licensed, multiplatform, multithreaded video transcoder, available for Windows, Linux and MacOS X. HandBrake is a tool that enables you to convert DVDs to MP4s or MKVs. HandBrake is a video transcoder that takes your movies and transfers them to a format that's useful on your computers, media centers, and portable electronic devices. It converts any video formats to a handful of modern ones. HandBrake supports output of MP4(M4V) and MKV formats; H.264, MPEG-4, MPEG-2, or Theora video; and AAC, CoreAudio AAC/HE-AAC, MP3, Flac, Vorbis, AC-3, DTS, DTS-HD, AAC and MP3 pass-thru audio. It features Chapter selection, Chapter Markers, Subtitles, Constant Quality or Average Bitrate Video Encoding; Support for VFR, CFR and VFR; Deinterlacing, Decomb, Detelecine, Deblock, Grayscale Cropping and scaling; Live Video Preview; Built-in presets for common devices, and lots more!